Is Hormone Imbalance Therapy Right For You? As we age, our hormones can become imbalanced. Hormones play a critical role in moderating several key functions in your life including mood, metabolism, and sleep. Fortunately, medical advances allow us to correct this issue to rejuvenate you and restore youth and vitality. At Envoque MD in Scottsdale, AZ, we want to help you live a happy and healthy life. Read on to learn more about how hormone imbalance therapy can restore a crucial balance in your life. What Is Hormone Imbalance Therapy? Hormone imbalance therapy is used to treat an excess or deficiency of a particular hormone in the bloodstream. There are two types of chemical therapy used to treat hormonal imbalances. The first includes bioidentical hormone replacements such as DHEA, estrogen, testosterone, and progesterone derived from a natural substance. The second is synthetic hormones, which are created in a lab and mimic the effects of natural hormones. Men and women commonly experience imbalances in insulin, steroids, growth hormones and adrenaline. However, women are more likely to experience deficiencies in estrogen and progesterone, while men are more likely to experience a deficit of testosterone. There are several alternatives to the patches, pills, and injections commonly prescribed by doctors to treat hormonal imbalances. Exercise is a common way to treat certain types of imbalances such as cortisol, which occurs in excess because of an abundance of stress. Reduced cortisol levels encourage normal insulin ranges. Try to engage in moderate exercise for 30 to 60 minutes each day to keep your stress levels lower. Diet is another alternative to the traditional hormone imbalance therapy. A diet full of added sugars, hydrogenated fat, sodium, and processed food often leads to obesity. This excess fat carried by obese individuals store both environmental toxins and hormones. Besides suffering from medical conditions including cardiac arrest, stroke and type 2 diabetes, elevated hormone levels negatively impact several critical bodily functions. This can, in turn, stress your body and mind. Is Hormone Therapy Right For Me? Hormone imbalance therapy is crucial even if you are not feeling ill. This is why it is important to have your hormone levels checked before negative consequences manifest. During your initial consultation, specialists can walk you through what to expect and what type of hormonal imbalance therapy is right for you, but here are some general guidelines. You are of good general health. You experience moderate to severe hot flashes or other menopausal symptoms. You stopped menstruating before the age of 40 (premature menopause) or lost normal function of your ovaries before the age of 40 (premature ovarian insufficiency). You have significantly reduced bone density and cannot tolerate other treatment methods or find them to be ineffective. You want to increase muscle mass or insulin sensitivity. 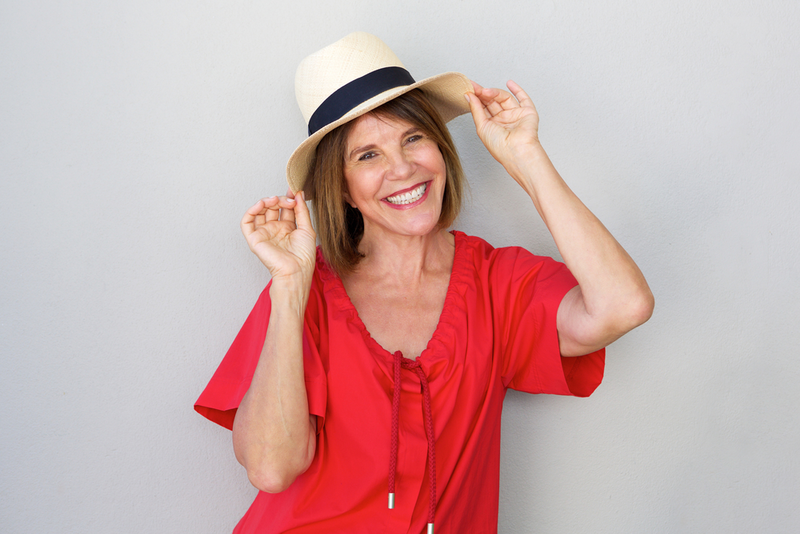 If you think hormone imbalance therapy could improve the quality of your life, contact the friendly professionals at Envoque MD in Scottsdale, AZ today to schedule your initial consultation. We are glad to educate and serve you so you can live your best possible life. Why consider Women’s Hormone Therapy?